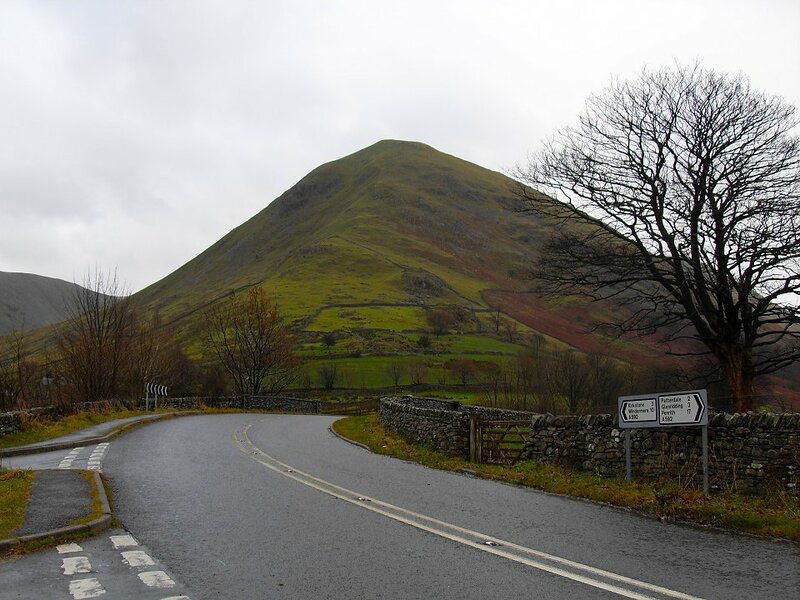 Hartsop Dodd- my route for descent. 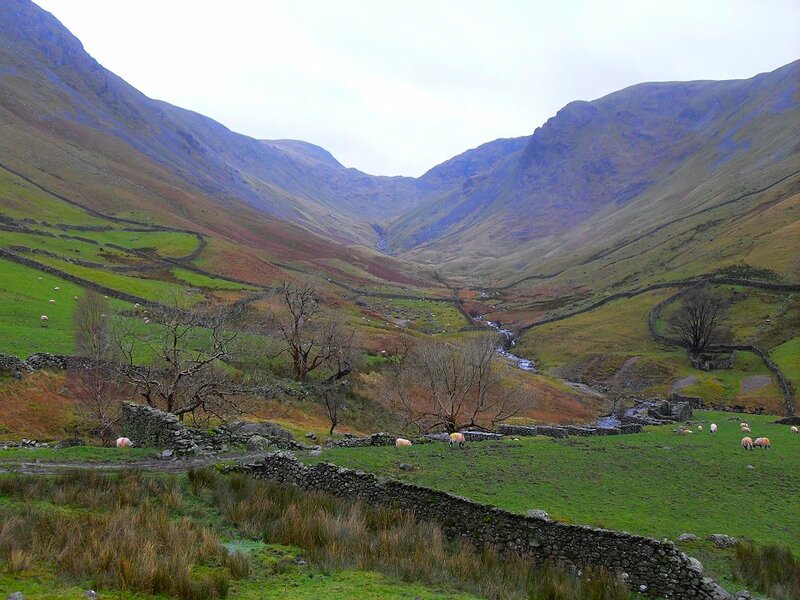 My first port of call, Gray crag seen from Hartsop. 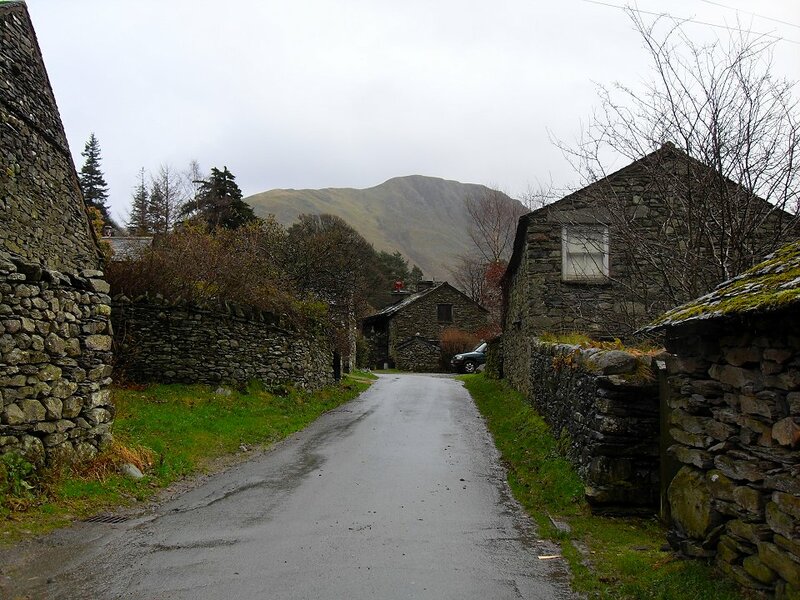 Looking up to Threshwaite mouth. 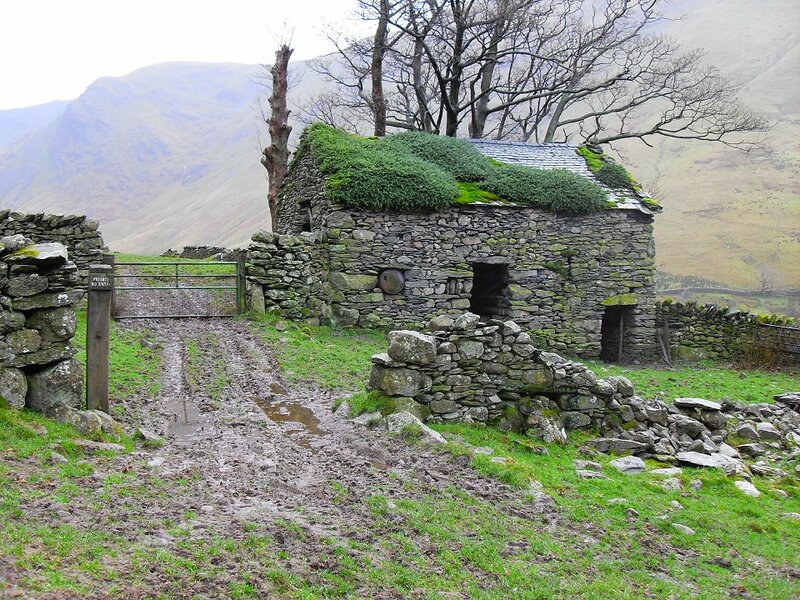 The old barn just outside Hartsop. 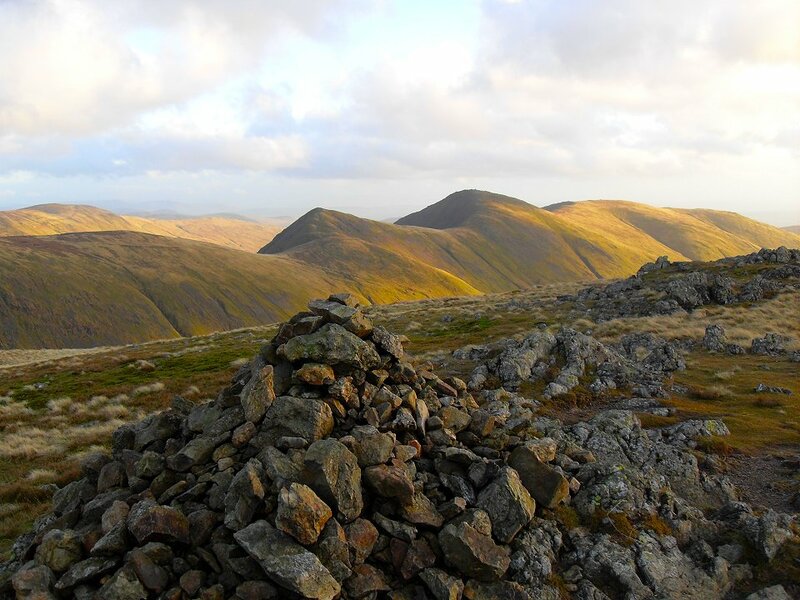 The Knott from the steep climb up Gray crag. As usual the better weather seems to be in the next valley. 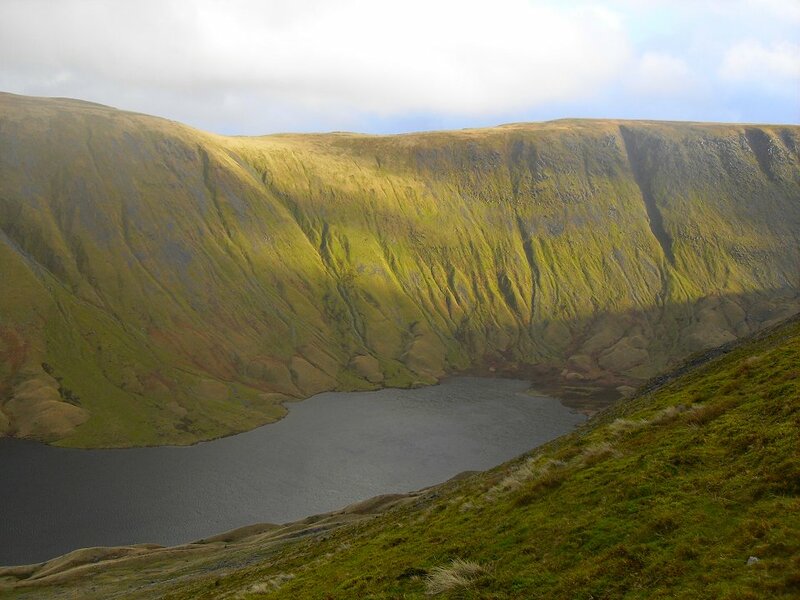 Hayeswater with the High Street ridge above. 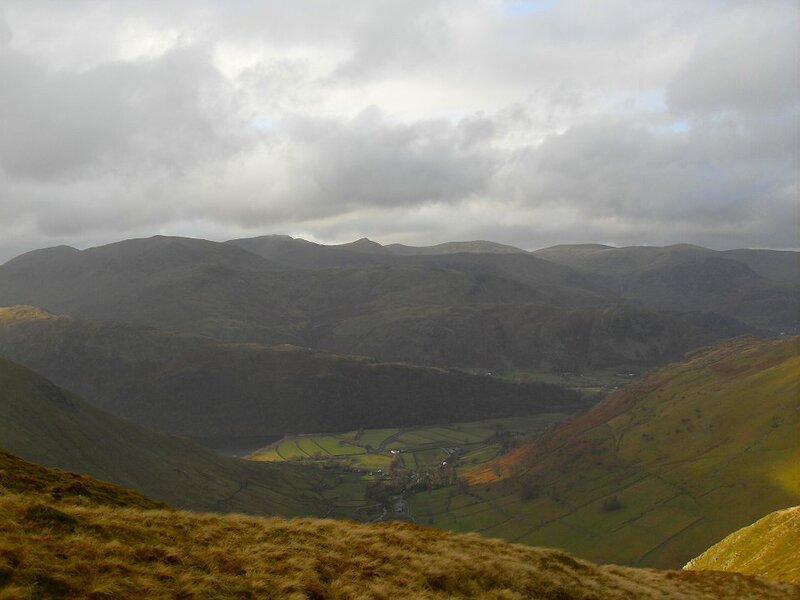 Catstyecam from the top of Gray crag. The Ill Bell ridge from Stony Cove pike. 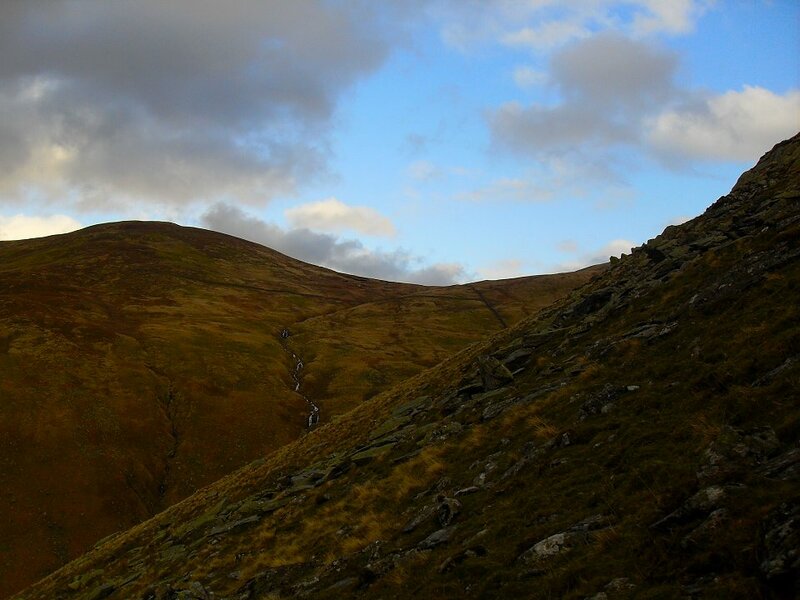 the summit of Caudale moor. The rain and hail which had been threatening all afternoon finally came so it was camera away and a very slippy descent down Hartsop Dodd. With the only consoling thought being that at least I was not going up..